Here’s a breath of fresh air for those with asthma: Taking vitamin D could reduce your number of respiratory attacks and improve your odds of staying out of the hospital. The conclusions emerge from a study presented to the European Respiratory Society International Congress by a group of researchers from the United Kingdom, Japan and Australia. The results expand on earlier findings that showed low levels of vitamin D are linked to a higher risk of asthma attacks. Vitamin D is absorbed when sunlight strikes the skin and is synthesized. Many people take vitamin D supplements, especially in times and places with less sunlight. The researchers studied the rate of severe asthma attacks among roughly 1,000 people, most of whom had been diagnosed with mild or moderate asthma. They found that people who took vitamin D experience a decline in the average number of attacks per year from 0.44 to 0.28. And hospital visits among people suffering acute attacks fell in half, from about 6 per 100 to about 3 per 100. The researchers concluded vitamin D “is likely to offer protection against severe asthma attacks.” They called for more research focused specifically on people who suffer from severe asthma. Asthma is a breathing disorder that affects the airways in the lungs. While it has no known cure, those with the disorder often take medication to manage symptoms and try to avoid situations that can trigger an attack. Feel tightness or pain in the chest. The U.S. Centers for Disease Control and Prevention says about 25.7 million Americans have asthma. In 2008, the disorder caused 10.5 million missed days of school and 14.2 million missed days of work, the organization said. The study, “Vitamin D for the management of asthma,” is available in the Cochrane Library. It includes a helpful plain language summary. A description of the study, “High quality evidence suggests Vitamin D can reduce asthma attacks,” was published by the European Respiratory Society. You can read about asthma symptoms, triggers and treatments at the CDC’s website. You can read a fact sheet on vitamin D for health professionals at the National Institutes of Health website. 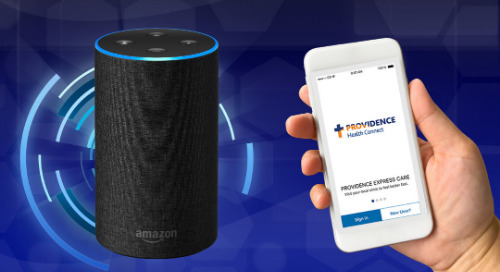 If you have asthma, talk to your health care provider about how best to manage the disorder, including whether you can benefit from taking vitamin D. You can use our directory to find a Providence provider.